Just like that plain Jane in your university history course who seemed to have nothing of any interest to share with the world, but who was actually a pole dancing rock climber in her spare time, the cranberry hides a multitude of facts and trivia beneath its rosy skin. How many of these were you aware of? Cranberries are low, creeping shrubs or vines that prefer to grow in slightly acidic bogs throughout the cooler regions of the northern hemisphere. They are one of America’s only three indigenous fruits, together with the blueberry and the Concord grape. The indigenous Algonquian people called these berries sassamanash, and may well have introduced them to starving English settlers in Massachusetts who then incorporated the berries into their traditional thanksgiving meals. The name “cranberry” is derived from the name given to the berries by America’s Dutch and German settlers who called it “crane berry” after the flowers’ resemblance to the head and beak of a crane. American seafaring vessels used to carrycranberries as their generous supply of vitamin C prevented sailors from developing scurvy. Cranberry vines thrive in conditions that would not support most other crops: acid soil, few nutrients and low temperatures, even in summer. Because cranberries float, some bogs are flooded when the fruit is ready for harvesting, and the ripe fruit is simply scooped off the water (sea buckthorn berries are harvested in the same way). Tooday, cranberries are primarily grown in five US states: Massachusetts, Wisconsin, New Jersey, Oregon and Washington. There are nearly 1,000 cranberry growers in America. Growing up in the Southern hemisphere, my childhood memories of Christmas are always summer memories. I associate fruits like cantaloupe melons and sweet Hanepoot grapes with Christmas lunch, but since moving to London, I have tried to explore more of the seasonal fruits of the northern hemisphere. Cranberries were something I’d only ever seen in dried form – or as an ingredient in Ocean Spray juice. Clementines were unknown to me as a child – I assumed all easy peeling citrus fruits were naartjies, a South African tangerine that I grew up with. But I soon learnt that clementines are similar easy peeling citrus fruits that have a very short seasonm culminating around Christmas, and they are hugely popular in the UK for Christmas gifts and snacking. So when i recently had the desire to bake a Christmassy cake (and not being a fan of traditional Christmas cake! ), the idea of combining clementines and cranberries seemed immensely appealing. This recipe is a very slightly modified version of this recipe from Taste of Home although I substituted clementines for the oranges and added orange essence to the batter. It’s a super simple cake to make (removing it from the cake tin is quite literally the hardest part!) and incredibly impressive to serve, either hot or cold. If you are in the mood for somethng other than a traditional Christmas pudding this year, I can’t recommend this highly enough. MERRY CHRISTMAS TO ALL MY COOKSISTER READERS! This seasonal cake is packed with zesty fruit flavours and is a perfect Christmas pudding for those who want to break with the heavy traditional Christmas pudding. Grease a 30x20cm baking dish. Pour the melted butter into the base of the dish and swill around so that the base of the dish is evenly coated. Sprinkle the brown sugar evenly over the base of the dish. Arrange the clementine pieces and cranberry halves across the base of the dish and set aside. In a large bowl, cream together the butter and sugar using an electric mixer. Beat in eggs and orange peel. In a separate bowl, combine the flour, baking powder, salt and baking soda. Add the dry ingredients to the creamed mixture bit by bit, alternating this with adding the milk, orange juice, and orange essence. When everything is well mixed, pour the batter over the clementines and cranberries. Bake at 180°C (375°F) for 35-40 minutes or until a skewer inserted into the centre of the cake comes out clean. 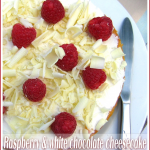 Run a knife around edges of pan and immediately invert the cake onto a serving plate or board. Serve warm, with whipped cream if desired. 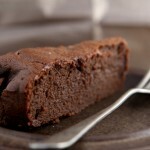 Cake also keeps well for up to 5 days in the fridge in an airtight container - bring to room temperature before serving. Moist and really tempting! A divine cake. A very merry xmas to you too sweetie! Lovely post. I love how you have this wonderful way with words, of pulling us in and delivering great texts. I wish you a beautiful Xmas. Merry Christmas, Jeanne! What a lovely post with a corresponding recipe for a colourful Christmas cake, you transport me to a warmer country with the beautiful shades of red and orange – thanks! Clementines still feel like Christmas to me. We always used to have one in the toe of our stockings as children. Doesn’t really work with summer fruit for my kids – ripe nectarine in a stocking…?! I tried putting lychees in one year, but they weren’t in the least thrilled. I’m very excited to know what pemmican really was – the Swallows and Amazons always took it with on expeditions and I thought it was a type of corned beef!! Oh! I could do with one or two slices of it on this grey afternoon! Belate Christmas Greetings, Sister! I love the flavours in this cake. I have done a similar cake with orange instead of clementine in the past and it comes out so well. I am sure the cranberries must give a lovely contrast to the sweetness of the cake. Could you please list pan size in us sizes as well, thanks Carolyn Boise, Id USA.